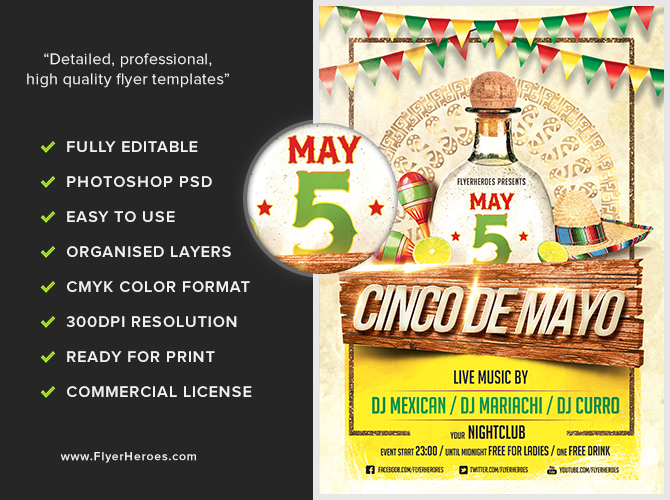 Power up your Cinco De Mayo promotional efforts using this easily editable flyer template to create a stunning flyer that places your event high on the public radar! 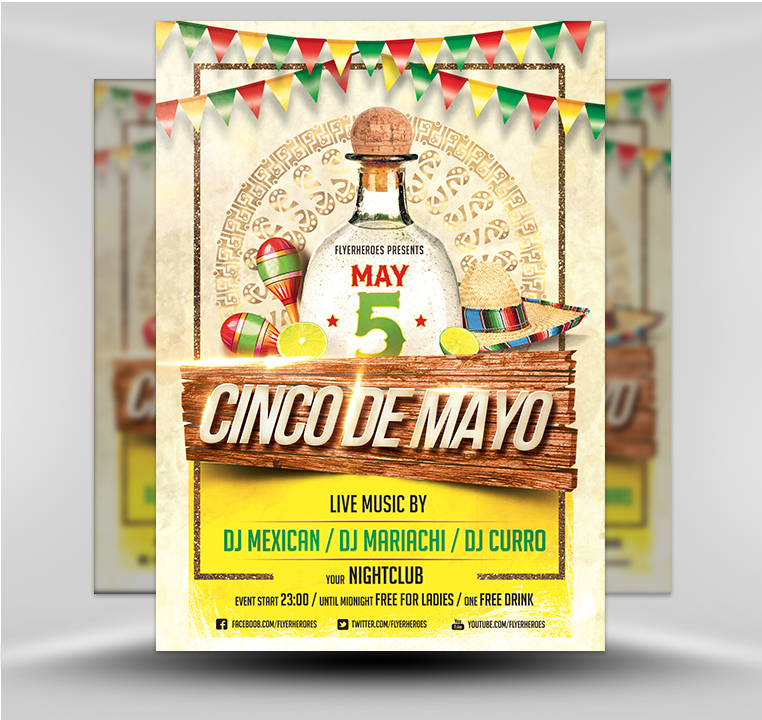 Move outdoors to greet potential clients face to face by distributing your colorful Cinco De Mayo flyers while costumed band members play lively Mexican music at local strip malls, shopping centers, and parks. Greet customers at the entrance of beauty salons, clubs, movie theatres, libraries, and churches with flyers and trays of Mexican-themed cookies. 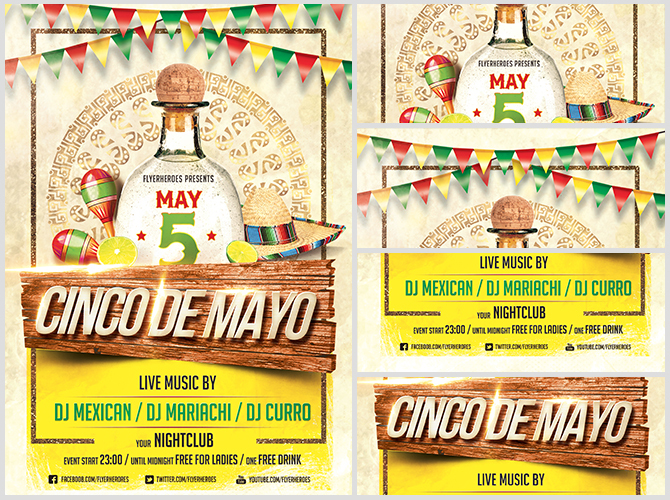 Invite your social media followers to your Cinco De Mayo event by posting this flyer where everyone in your Facebook group can view it. To extend your marketing reach even further, insert the flyer into a promotional newsletter sent out in print and e-newsletter formats! To market via postal mail, tuck Mexican skull candy and flyers into festive envelopes and mail to targeted subscribers in your company’s database. 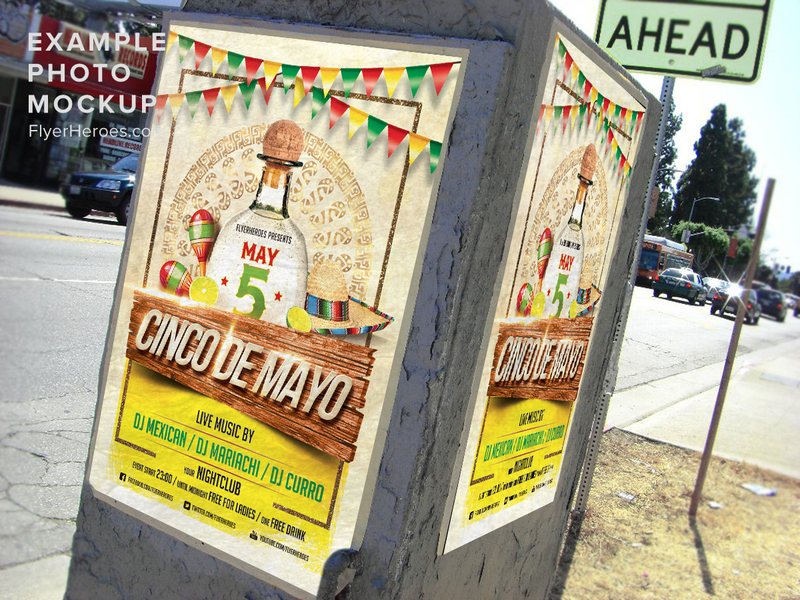 Keep your marketing efforts festive and fun and distribute your personalized and professional-looking Cinco De Mayo flyer widely!